The past few seasons I’ve lost the “can’t get enough” feeling a bit, but since it came back from break in January, I have been totally hooked again. Honestly, Shonda Rhimes is a genius. I really need to read her book ASAP. If you’ve read it, leave a comment and let me know what you think! I live in a tiny Boston apartment with the tiniest kitchen known to man. I don’t have a dishwasher so I love recipes that use as few dishes as possible! Don’t get me wrong, I ADORE my KitchenAid Mixer, but I don’t always love having to wash it. 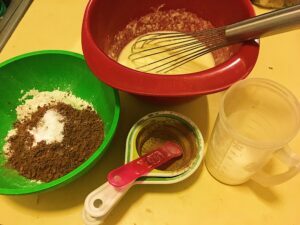 These cupcakes only use the dishes in the photo below, and then I re-used the batter bowl and grabbed a hand mixer to make the frosting. Also, aren’t these cupcake liners so cute?? 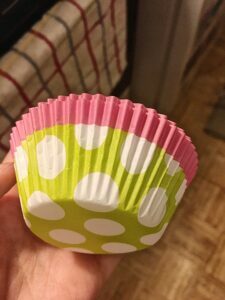 I have a big box of cupcake liners – all different holidays and colors and themes! So unfortunately I have no idea where these came from, but I thought they were perfect for a Girl Scout cookie dessert! 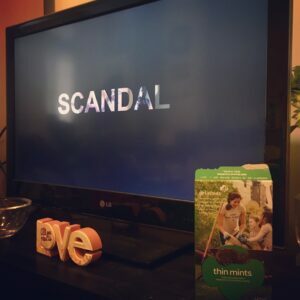 I know I’m a little past Girl Scout cookie season, but go ahead and bookmark this post if you’ve already eaten all your Thin Mints, and then buy an extra box next year! 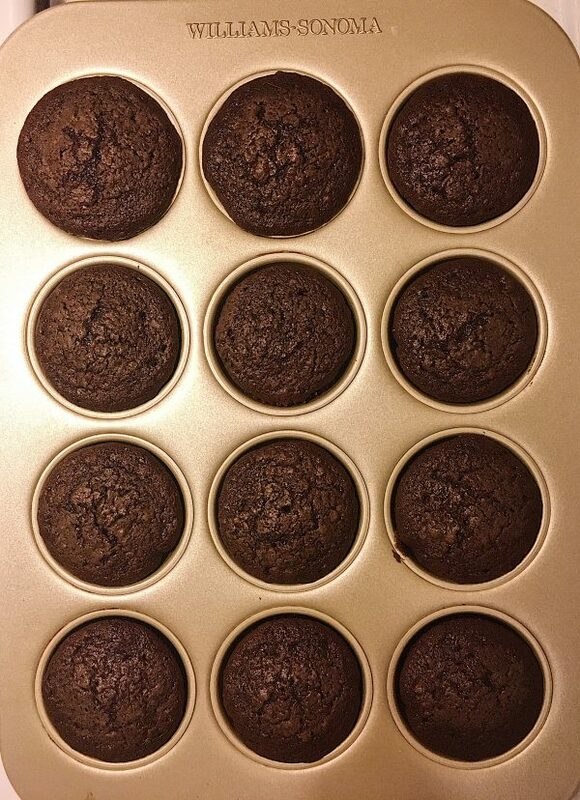 Preheat oven to 350 F. Line a cupcake pan with paper lines. Combine sugar, eggs, cream, and butter, and whisk till combined. In a separate bowl, combine flour, cocoa powder, baking powder, baking soda, and salt. Slowly add the flour mixture into the sugar and butter mixture, whisking to incorporate. 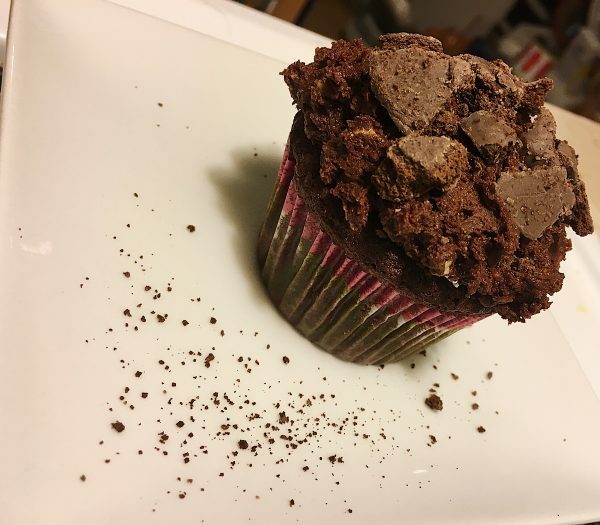 Once fully mixed in, fold in the Thin Mint crumbs. Fill cupcake liners about halfway full. Bake 25-30 minutes. Cool in the pan for approximately 5 minutes, then move to a wire rack to cool completely. Melt butter over low heat. Stir in cocoa powder till the mixture becomes thick. On low speed, add in powdered sugar and cream until the frosting is desired thickness. Add more powdered sugar to thicken, or more cream to thin. Add in Thin Mint Crumbs and Andes baking chip. Turn mixture to medium speed and beat until smooth. 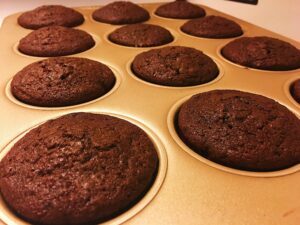 Top cooled cupcakes with frosting. Press broken Thin Mint pieces into the top of the frosting. Oh I am a Shonda addict too. Writing this comment as I catch up on Scandal…I was three episodes behind and catching up now. Sometimes I like to fall behind so that I can binge-watch! I’m not patient with waiting another week to find out what happens!!! I watched the first three seasons of Scandal in about three days. (Maybe a little more but not much. . .) Shonda is TOTALLY a genius :). These cupcakes look fantastic too!